DURHAM (WTVD) -- Durham police revealed Thursday that the armed man killed in a police standoff on Sept. 5 was carrying an Airsoft air gun, which officers mistook for a real gun. The man was identified as 21-year-old La'vante Trevon Biggs, 21, of Durham. It happened just after 10:30 a.m. in the 1700 block of Angier Avenue. Police received a call about an "armed suicidal male." Officers said they made every effort to try to have him drop his weapon. An incident report revealed Biggs had called Durham 911 at 10:27 a.m. to make a statement, telling the dispatcher, "I love everybody," and "It's not nobody's fault." Biggs' mother, Shanika Biggs, called Durham 911 back and told dispatchers her son was sitting on the porch with "a big, black gun." Once on the scene, hostage negotiators continued to try to get Biggs to cooperate for over half an hour, according to police. 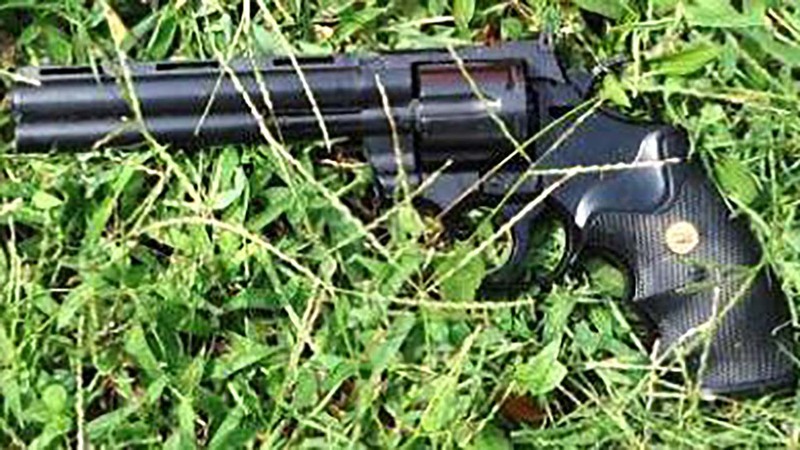 Police said they asked Shanika Biggs if the gun was real, and she told them, "Yes, it is real." But speaking with ABC11 Thursday, Biggs disputed that account. "I said 'I don't know if the gun is real because I don't know guns,'" said Biggs. Authorities said they began firing at Biggs once he started walking toward the officers. Police described Biggs as taking "fast" and "aggressive" steps toward them. Four officers fired their weapons. Biggs was taken to Duke Hospital, where he was pronounced dead. Authorities said it was only when they began collecting evidence that they discovered Biggs' gun was a replica Airsoft air gun, which they said closely resembled a real gun. Shanika Biggs told investigators her son had been depressed about a recent breakup and not seeing his children. In an interview with ABC11 after the shooting, Biggs questioned if more could have been done before the shooting. She said her husband was on the phone, but police would not let the phone be given to her son. Could Durham police shooting have gone another way?